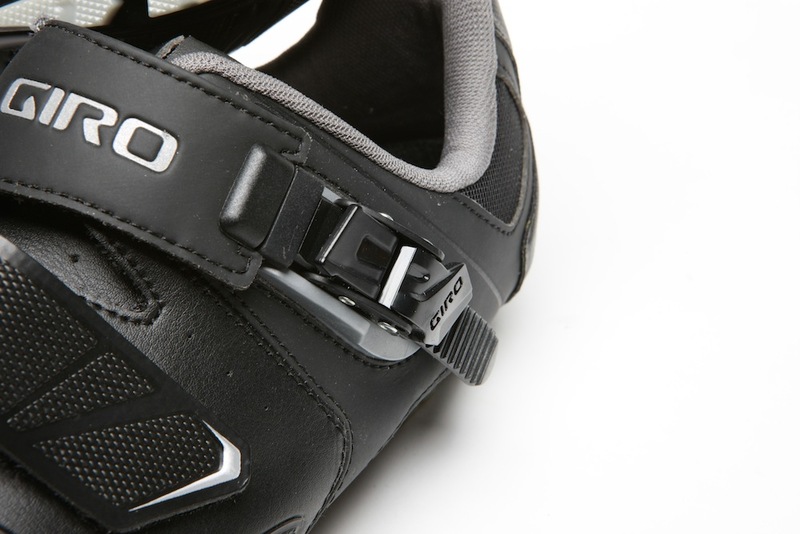 The Giro Gauge Mountain bike shoes may not have the glitz and glamour of the arguably more fashionable (and more expensive) Giro VR 90 shoes, but if you are into riding off road they are a good quality and reliable option. The shoes on test are the HV version which retain all of the features of the standard Giro Gauge Mountain bike shoes but also, as the name would suggest, have a high volume fit to accommodate those with wide feet and high arches. To help you get a good fit the shoes come with Giro’s SuperNatural Fit Kit which allows you to adjust the level of arch support by adding inserts. The two wide straps and micro- ratchet buckle provide a secure fit and the ratchet in particular made adjusting the fit on the fly straightforward. >>> Are carbon-soled bike shoes necessary? 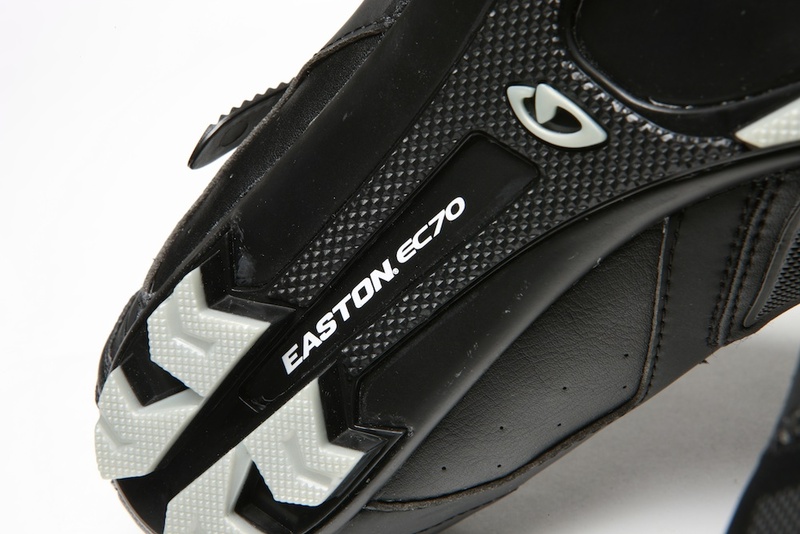 The shoes come equipped with an Easton EC70 carbon composite sole which is firm, without being uncomfortable, and you feel like you’re getting good power transfer. One of the most important features for an off-road shoe is that it is durable and robust. After several months of use, in all weather, the Gauges have proven to be just that. They coped well with regularly hopping on and off the bike- the toe is reinforced and the raised lugs protect the sole and your cleats. As said above the shoes on test are the HV version. As someone with broad feet and high arches, I found the width of the shoes fine but the added height (used to increase the volume) meant that at times it felt like there was too much empty space across the top of the toes. There are lighter, more race-focused and stream lined shoes available, but these are good quality, reliable and sturdy shoes that are well suited to off-road riding.